Nice surprise! 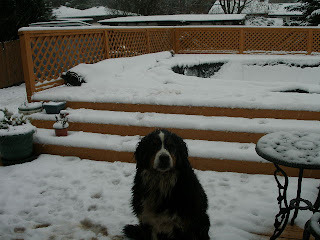 We had a white Christmas! 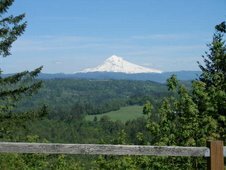 According to the news it was the first white Christmas(down to the valley floor) in the pacific northwest in a few decades. 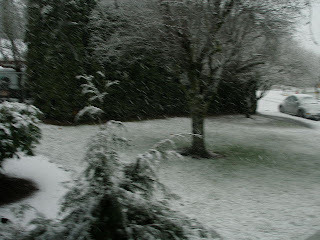 It has been snowing steady all day, it looks like we will probably get at least 4 or 5 more inches. I have been relaxing after a busy holiday. We drove to the coast to visit relatives and enjoyed some great seafood. Unfortunately however, it did not agree with me so I spent the last few days (and early mornings 2 am) sick again :( Back to tea and chicken soup for me! Still waiting for the first trimester nausea & throwing up to pass- thought it would be over by now! Best wishes and enjoy the new year! Caring partners can help ease the symptoms, but unsympathetic men make matters worse. "What actually causes the symptoms is a combination of factors - what's happening in your body and what's happening in the environment. "Men certainly play a significant role in PMS and can play a very significant role in women's depression and anger at that time of the cycle." So Here is my plan of action for the following month. * Disclaimer: I am in the midst of hormonal changes, if the following seems insensitive, bitchy, unprofessional, or whatever- I would suggest not emailing me about it (especially if you are male and don't get it) Yes my husband has read this and no he does not give a sh@#. On the other hand, if you are a male that does "get it" email away and I will be sure and forward the tips to my husband and anyone else who is interested. 1. Get the irritating stimulus (It or Them) out of your life for a few days. I gave this a lot of thought, as convenient as it is to be reminded by my husband or relatives that your period must be arriving (or here), I decided a calender will do just fine thank you. 2. Have partner read "Men to Blame For PMS" I found this article quite convenient, I know I shouldn't blame others for my own reactions and problems, but if after 8 years my husband "gets it" it's worth a try. 3. Review my pocket handbook "what to do when you feel like strangling someone"
4. Give my partner a handy "what to do and how to do it" list, it seems unfortunately my husband has had a case of amnesia when it comes to housework, cooking, cleaning, or helping with the baby. He does miraculously remember how to watch football and change the channel- interesting. next time he'll buy me diamonds. Elderberry Sambucus a local forgotten medicinal? As I am on my way up the mountain to collect elderberry, I notice several trees loaded with berries bordering yards, on the roadway, and in even in a nursing home parking lot. Elderberry used to be called "the medicine chest of the country people" but from the looks of my country town here in Sandy, many have forgotten. I picked some Elderberries a few weeks back for my friend Kiva. When I went to the small deserted country post office to deliver them, the clerk was eager to make conversation. I explained to her that I was shipping my friend some elderberries. "ewwwww where did you get them, I loved those as a child, my thumbs would be blue and numb, my Dad would use them for wine, jelly, cough medicine- I wouldn't know where to find any now" When I explained that they are actually quite common, she was sure they must not be the same berry, and in fact that to be careful that they may be poisonous. Have people gotten away from collecting their own medicinals? If there is one "goal" I have with this blog it is to empower people to get back to the old ways- lost traditions. Of course, be sure of what you are collecting, jim has a great guide for gathering your own herbs. To (hopefully) get you interested in this wonderful plant, I will attempt to dredge up some interesting facts and legends. Around here in the Pacific Northwest we have both red and blue elderberry. Blue is the one you want for wine (Rebecca's recipe), jelly, syrup (jim discusses it here), elixir ( Darcy's recipe) and other medicinals (kiva's tea), much more medicinal info can also be found on Henriette's site. 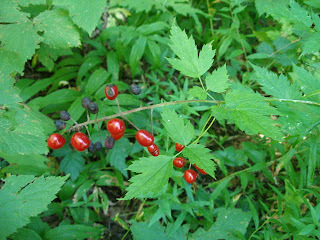 There are 3 types of blue species that inhabit the West all similar in appearance; sambucus cerulea, S. racemosa & S. mexicana and one red fruit species S callicarpa (pacific red elder) the red has red berries and pyramid shaped flower clusters, the blue has blue berries and flat top flower clusters. Depending on what source you hear it from, the red can be toxic so I would stick to the blue. 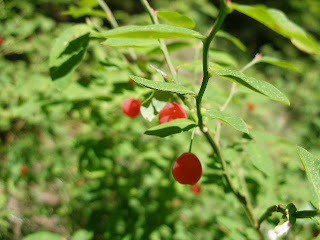 You can find the berries around here in the Pacific Northwest at the end of summer into early autumn. The name Elder comes from the anglo-saxon word "aeld" meaning fire, the association being made because of the hollow stems were used to blow on fire (to increase flame) The name "sambucus" is from the Greek word meaning wind instrument. Both Shepard's & Native Americans used to make flutes from the elder branch, the tree was sometimes called "the tree of music". The hollow reads were also used to make smoke pipes, elk whistles, pop guns, and sprouts on maple syrup trees. 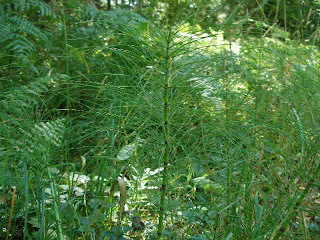 Some Native American tribes used the sticks of elder for twirling sticks (the sticks used to start a fire by friction), the straight branches were also used for arrows. 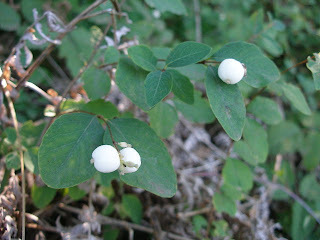 It should be noted that the leaves, bark, shoots, twigs, and roots of the fresh plant (of either color) are toxic, and children have been poisoned by chewing or sucking on the bark. The Elderberry plant has held an important place in European myth. There have been opposite stories relating to it magical & supernatural qualities. There has been an association with both the devil and witches (the bad ugly ones lol) The wicked witches were believed to live in elder trees, so people were afraid to cut them down. 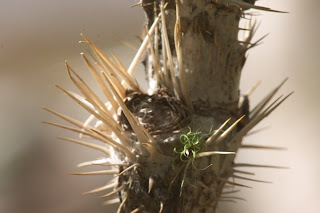 It was considered dangerous to sleep in the shade of an elder or to plant one near a house. It was also believed if you fell asleep for too long under an elder that you would become intoxicated. Six knots of elder wood were used in a Yorkshire incantation to ascertain if the cattle were dying from witchcraft. 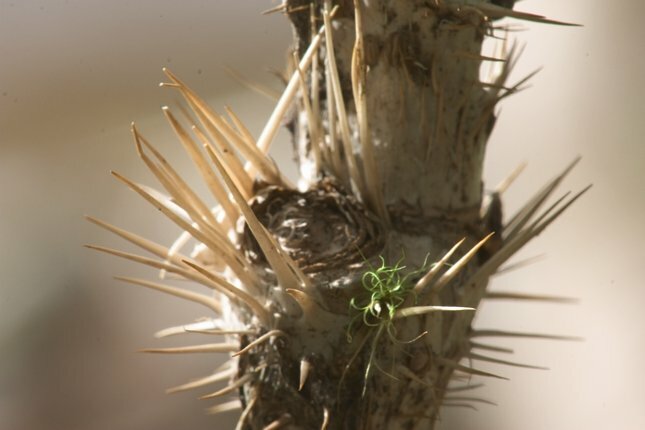 In contrast, the elder was believed to be a tree of protection against evil spirits and for this reason people would plant them near their homes. 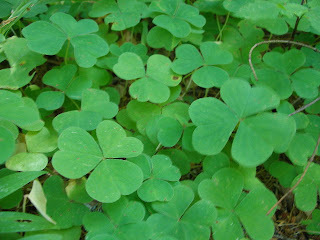 The leaves are an insect repellent and people used to hang the branches from doors & horses bridals to keep the bugs away. Elder was also planted near dairies to keep the milk from turning. The fairy Folk love music and they used the wood of the elder to make all of their musical instruments. 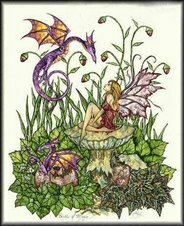 Hilda the mother of the elves is said to live in the root of the elder, and anyone under the elder tree at midnight on Midsummers day would see the king of the fairies and all his retinue pass by. 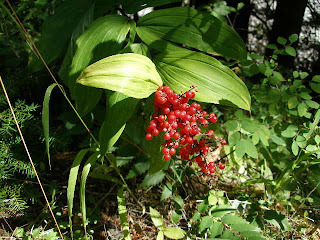 In England the dwarf elder was said to spring up whenever Danish blood was shed in battle, for this reason it was called "Dane's blood"
In Tyrol elder was planted on graves, if the plant flourished with berries it is believed that the dead person is happy in the other world after passing. The appearance of berries on the elder would indicate it was the right time to sew the wheat in the field. As described above in some of the links I provided, elderberry is both delicious and medicinal. 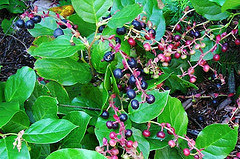 In small quantities you can add it to food ( Elderberries do have hydrocyanic acid , in large quantities it can lead to stomach upset and diarrhea, how much I guess would depend on the person, this can be avoided by straining out the seeds or thoroughly cooking the berries, red elder berries have larger amounts of these compounds, which is why they are considered "toxic" Henriette has a nice write up here). 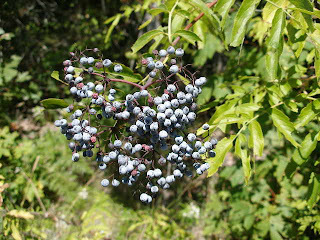 Elderberries are good with other berries such as blueberry or raspberry, and a little honey can be added for sweetness. Add equal parts of mashed fresh elderberries and blueberries to your favorite balsamic vinegar, shake well. Dried elderberries, & blueberries equal parts, with a little feverfew & rose hips, honey and a squeeze of lemon for a great winter tea if you feel a cold coming on. Also try variations with (not all actions are listed) Astragalus (adaptogen, healthy immune function), peppermint and spearmint(digestive aid, antiseptic,analgesic, astringent, calming) , chamomile (anti-inflammatory, digestive aid, relaxing) , licorice (sweet, antiviral), cinnamon (carminative, anticeptic), ginger (carminative, expectorant, antimicrobial -to name a few but can be drying), echinacea (antiviral, antibacterial) and other dried berries such as raspberry. As promised here is my take on Nasturtium tincture. 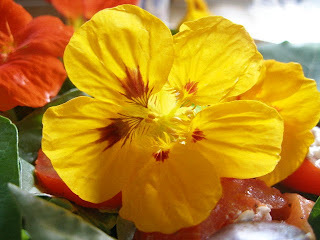 I am quite fond of nasturtium as a food, as you already know if you read my nasturtium salad post. And a aside, the fresh plant does give off a cabbage sent when picked, this dissipates quickly. I made a tincture of both the leaves and flowers, fresh plant 1:2. The taste is spicy, hot and peppery, with a slight cabbage like after taste, much like when you pick the plant, the cabbage aroma/slight taste is there and gone, you are left with a pepper taste. Not bad, then again I love spicy. I experimented with small doses a few times throughout the day. It seems to have a adaptogen type effect, just an overall feel good type of feeling. I went to the store, and the owner gave me a free bottle of my favorite wine because "he like my smile". I had been pretty burned out doing a lot of writing on the computer, it seemed to lift my spirits. Later that evening I felt "lovey dovy" instead of tired and ready for bed(no I had not opened the wine). I think this is why I was attracted to the plant to tincture it, I have had a lot going on and my adrenals have been shot off and on. Funny how that works. Olivia Boyce Abel makes an antibiotic tincture for her medicine chest using four parts fresh garlic . 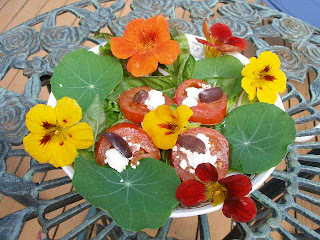 . . four parts fresh nasturtium leaves and flowers . . . and one part echinacea root. 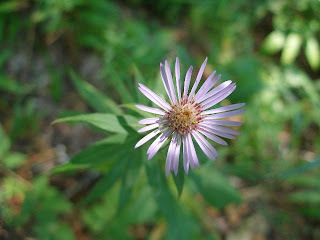 (You can also use echinacea's leaves or flowers.) she uses four ounces of this mixture per pint of vodka. According to Olivia, Nasturtium is an antiseptic and helps one expel mucus from the lungs and throat. This may come in handy this winter. I am looking forward to trying it. I have also heard from another herbalist that you can use the nasturtium tincture on it's own (not a blend), right when you feel a congestion coming on and it kicks it right away. It has been a pretty busy week, a lot of writing. I am creating a new class online. So finally when I had enough of sitting in front of the computer, I decided to head back up the mountain. Today I collected some false Solomon seal root. 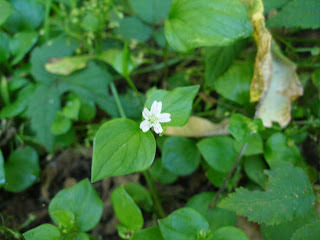 I decided to give this medicinal a try, some say you can use it for some of the same uses as the "True" Solomon's seal". We will see. 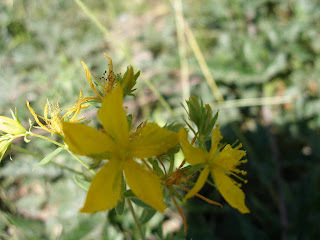 I read in Edible and Medicinal Plants of the west by Tilford that some Northwest Native tribes used a poultice of the root to treat inflammations of the skin, treat sunburn pain, and stop bleeding. Also, and I think the most interesting~ some tribes used to promote smoking the root to "cure insanity" and quite emotional children (did the two go hand in hand?) LOL. I was also able to score some more elderberries! Yay Elixir her I come! As soon as the I am done creating my new course (I gave myself a deadline of this weekend) I will be posting more frequently. Many times I hear statements like "my kid wont take herbal teas" Certainly some herbs can taste bad or too strong to a kid, but there may be something deeper going on. Are herbal teas only introduced when there is a "problem"? Have you asked yourself as a parent how you view healing and medicine? Traditional Western medicine is necessary and often life saving, however the mind body connection and the miraculous ability of the body to heal itself with the assistance from nourishing foods and natures medicine is often ignored. The Traditional Western medicine approach is to attack disease, you feel as if something is being done to you and that can often feel very invasive. A child is going to naturally want to rebel from this approach, it is scary and intimidating. "Take your medicine" can sound like something of a punishment. Holistic medicine is about nourishing the body and living a healthy lifestyle. When I say "nourishment" I don't mean to simply take vitamins and minerals and eat good foods. Nourishment is a healthy loving emotional environment, exercise, rest, herbal remedies, connection with earth, connection with community and loving one another. It's reading fairy tales to your child, planting a garden, taking time to listen, & having a loving home. Involve your children when collecting healing medicines from the wild, show them how to make healing teas and infusions, help them to cultivate a healing kids garden. 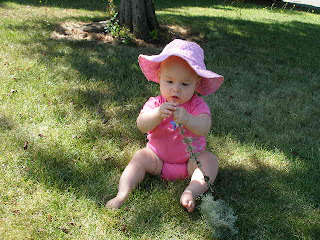 My mother and I often wildcrafted together and Ella being only 9 months old has gone with me on all of my outdoor adventures. 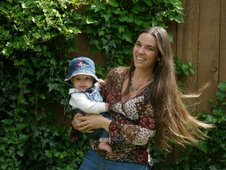 Kiva gives a wonderful example on her blog of spending the day with wonderful wise women and her daughter Rhiannon. We can be good role models for our children by showing them the beauty of their bodies and nature. Approaching sickness as if it were an enemy or something bad reflects badly on the child. If we teach our kids that sickness should be avoided at all costs, or attacked, we are denying that illness is a natural part of life. Even if you are extremely healthy, if you participate in life illness or "problems" will eventually occur. Explain issues when they arise in an age appropriate way that the child will understand, let the child be involved rather than approaching illness as a problem that needs to be attacked. Explain that the natural remedies support the bodies own ability to heal rather than a remedy being a magic bullet cure. The "detox" rage is in my opinion is not approaching herbal medicine with a holistic view in mind. The extreme idea that we are somehow dirty and full of toxins is damaging. This illusion that we must live perfectly and become more pure will only lead to disappointment and disconnection from our bodies. Health is not about attaining perfection. There will be birthday cake, pop cycles, and chocolate. Balance is the real key, everything in moderation, even moderation! Extreme ideas are just as damaging as not taking responsibility for your health at all.The inner stress and guilt this causes is the opposite of being holistic. This view does not teach our kids to feel relaxed about themselves, enjoy life, be confident about their bodies, and celebrate good health. If and when illness does arise the child will feel defeated, like they somehow brought the illness on themselves because they are not "pure" or "perfect". The goal is not to somehow fight the enemy of illness and toxins. The focus should be on avoiding unnecessary illness by nourishing ourselves with local grown foods, herbal medicine, exercise, fresh air and getting out in nature. When illness does arise we can attend to it with compassion instead of guilt, fear, and blame like the child is somehow doing something wrong and needs to be punished by "taking medicine"
If natural holistic living is part of your life as a parent, the child will be much more likely to accept it. Children are inundated with media messages that health is a perfect size 2, and skinny, COOL, active young people eat at McDonald's (or other fast food). Our goal should be to empower our children and try to send a different message. 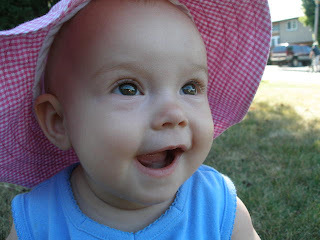 Went to Ella's 9 month checkup today. I got into this clinic with this Awesome Doctor. Her name is Dr Monique Pritchard MD, FAAP she is at the Sellwood Medical Clinic. I drove about 40 minutes to get there and let me tell you it was worth it! Her bedside manner with Ella was amazing! The first thing Ella did was wave and say "HI" O MY! That was a first! I knew I was in the right place. No wonder she has patients who drive 3 hours 1 way from Seattle. The room was cozy with an old rock fireplace with a very cool Native American picture, I felt very much at home. We were talking about organic food & nutrition, garlic ear oil, herbal remedies and teas, Infant massage, co sleeping (here baby is only a few weeks older than Ella and she co sleeps), importance & benefits of long term nursing, I couldn't believe it. A doctor, who actually gives a crap, spends longer than 5 minutes, in fact, we were talking for at least 30 minutes! She also said she is OK with no vaccinations (will write up a religious exemption) , and if they do vaccinate it is only tested and proven vaccines (plus she is willing to spend the time to educate on each one and what it is for), no more than needed, on your schedule! She checked Ella for lead because of the new toy scare, checked for anemia (she was A OK) Ella seems to be right on track, the nurse said "whatever your doing, keep doing it!" She asked where I lived and told me that since I am far away they will make an extra effort to schedule me in so I do not hit traffic. This is so refreshing. When I told her I was an herbalist and LMT, her eyes lit up and she requested my cards. WOW, not only was she listening to what I had to say, she was actually interested and agreeing with me! Am I dreaming? Oh and our insurance covers it!!??? Whether your goal is collecting medicinal plants or foraging for wild foods, a few approaches seem to work well (or sometimes not so well) for me. 1. Start with no expectations. I like to check out an area with no intentions of looking for a specific plant or food. Just enjoy yourself, bring a camera and take notes. Collecting the plants is not your objective. When you are not looking for anything in particular, you will be amazed what you will find, you are also a lot more likely to cover a larger area of land. If you start off on a quest for one particular plant, and you have never been there before you may be disappointed and you may also pass up some really good finds. Also, if you happen to run across that particular plant, and you begin to gather, you may find later that there was a much bigger patch or better quality patch else ware. Because you were not familiar with the area and you did not scout it out, you missed it. Use that day for taking in the plants that are there, cover a large area, take mental & hand written notes of the area and where the plants are located. Return at a later date (maybe even the next day if you found the perfect plant) when the plants are at optimum harvesting stage. This is also a good time to get permission to collect if it's private property. 2. Going out with the intention that you will just collect anything you find. This includes any edible or medicinal plant you know. Then when you get back home you improvise and cook up or dry, tincture, any thing you bring back. This can bring many pleasant surprises and off the wall recipes that you would not normally plan. Sometimes you may even hit the jackpot! Study up before you leave and bring a good plant key ( this is why I like the picture before you gather method, you can take plenty of time identifying, and the plant remains there for when you return) Remember the more you know the more you can gather! 3. 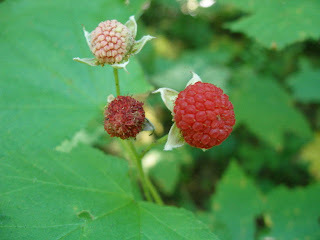 Spontaneous eating of wild foods or sampling of medicinals. This occurs when you are in the middle of some other activity like a company picnic for example. You cannot control yourself when you see some sort of wild delicacy and you indulge! This is great, especially when bosses, or unknown employees see you and your spouse has to explain that you have obsessive compulsive wild food consumption and collection disorder. Your excitement is enough to justify any weird looks of disapproval from others. 4. 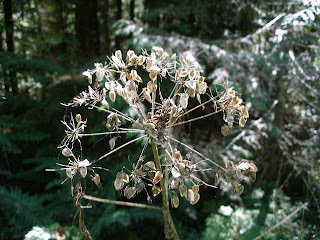 Going on a medicinal or wild foods quest for a single plant. This is sort of like gambling and may or may not be rewarding if you are hyper focused on the one plant. You go on a quest for the one plant that you know (or suspect you know) is in season for that region and habitat where you are looking. Say you are looking for huckleberries. If you do find them, they may not be at the harvest stage, or someone or something may have gotten there before you. 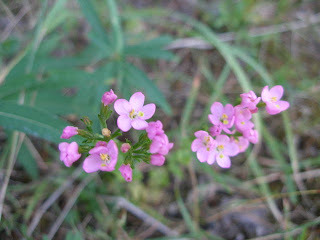 A lot of disappointment can occur if you search for one plant to the exclusion of all others. You could come home short or with nothing at all. Not to mention the disappointment you have caused the other plants that you ignored that were calling out to you to be gathered. 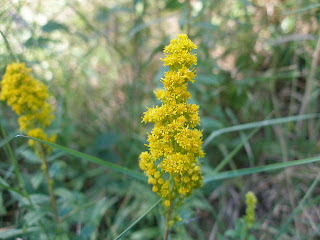 Time for Goldenrod Solidago canadensis! 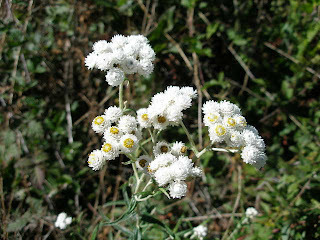 Beautiful Pearly Everlasting Anaphalis margaritacea in bloom everywhere! False Solomon seal smilacina racemosa w berries. 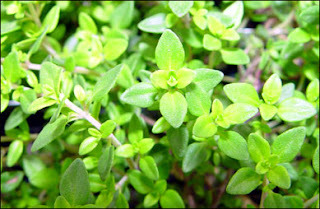 A varity of stonecrop (not sure latin name) leaves are thick and meaty, juice is nice to rub on cuts. if you decide to do any "recreational snorting" the resulting nose bleed could lead to hospitalization LOL! Aster (purple flower top) subspicatus A beautiful wild flower, as a flower essence DOUGLAS ASTER aster subspicatus - endless expansion while maintaining centre; savouring life experience; living fully and consciously; promotes courage and adaptability. 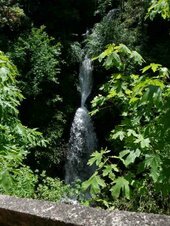 according to Healing Waters. 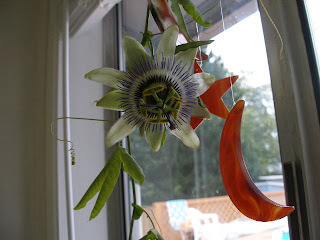 I saw many plants today, blogger only lets me post 3 pictures per post so this will be continuing. Blue Elderberries sambucus cerulea, yummy! It was a beautiful day today, I love this time of year, when fall is approaching. Soft breeze on my face, warm and sunny, yet cool enough. I pictured some really great plants today, just when I was getting started my battery went dead! Here is a few I captured. 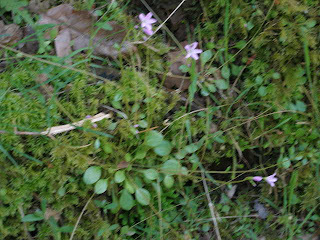 Centaury centaurium umbellatum a lovely little bitter! 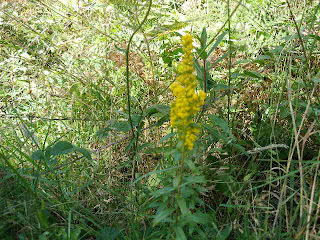 Goldenrod Solidago canadensis. As I learned from Kiva, lovely topical for sore muscles, and has many other fabulous uses. Yummy Salal berries, nice little treat in the middle of the day! Some snowberries symphoricarpos albus not really an edible, but you can chew it up and apply them externally on bites and cuts. I could go on about my plant stories (much like fish stories) of all the other great plants I saw, but alas I do not have proof, I plan on going back up the mountain tomorrow, hopefully this time I will make sure the battery is charged! Well this year was busy, moving into a new house a little late to really get things going in the garden. 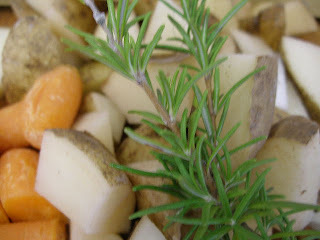 I did grow some culinary herbs like basil, rosemary, sage, oregano, thyme, fennel, chives. I have catnip which has come in especially handy for Ella and her teething. I also planted lemon balm, nice tea for me! Tons of squash & tomatoes. In fact I have so much squash I can't give it away fast enough! I absolutely love garden fresh tomatoes so I will probably eat most of them fresh, I do plan on preserving some too for yummy soups and sauces. I have one little cayenne plant that hasn't produced, I think I planted it to close to the squash, not knowing that the one plant would be about 5 ft in diameter! 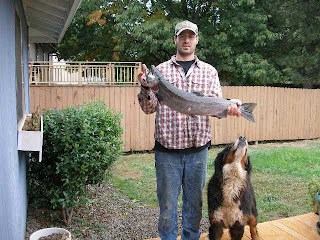 My Husbands brother is a fishing guide in Alaska, he is shipping over 70 lbs of fish. I am looking forward to making a tomato base fish stew with fennel, onions, garlic for the base, nice aromatic white wine with fish stock, some pepper flakes, bay leaves, fennel seed, fresh fennel tops to garnish yummy! 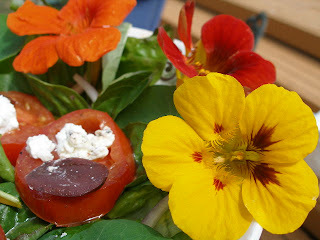 Oh and I have lettuce and nasturtium leaves and flowers, these have made excellent salads. Oh and to spite what Henriette said on one of her rants on her blog not that long ago I couldn't resist taking some of my left over alcohol and making a very small batch of nasturtium leaves and flowers tincture, I am sure that it will taste just as you described ,"really stinky cabbage" but oh well LOL! By the way Henriette if you knew what it tasted like you must have tried it at one point yourself Hee Hee. For the culinary herbs I like to make herbal ice cubs to add to cooking throughout fall and winter. I also like herb butters. Just strained out a catnip tincture yesterday. The garden came with dandelion, since the soil was good I got some really good root. Oh and there was a yellow dock in the corner. I had big plans for the garden but only got half of it planted, the other half is taken over by morning glory from the neighbors yard, boy she grows fast! Lichen means "leprous" in Greek, the plant was named by Dioscorides he thought it resembled the skin of people with leprosy. I personally like the name "old man's beard"
The structure and origin of these plants was a mystery to botanists for years. In 16th century Europe they thought the lichens were secretions of soil, rocks and trees. In the 19thg century some experts thought lichens were composed of air and or water, others thought they found an example of spontaneous generation. Now it has been found that lichen are a combination of an alga and a fungus. In this mutually beneficial partnership the alga, since it is green, can utilize sunlight and carbon dioxide to make food; the fungus holds water and provides structure. The spoors of algae and fungi are in the air all the time, when they land together in a place they like a lichen is formed. 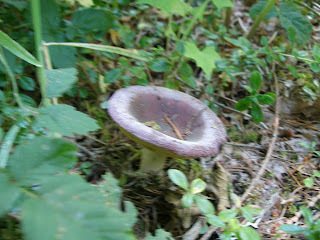 They tend to grow in places where the algae and the fungi could not survive alone. Lichens are very adaptable to becoming dormant during dry periods and at low temperatures, they can remain this way for years, reviving when the conditions improve. They grow very slowly and if left alone can reach an incredible 2000 years old! They like to grow on tree trunks. They are not parasites, they do not penetrate the bark of the tree. Often Lichen grows on the North side of a tree, this was an advantage to travelers, especially traveling in the woods at night. Lichen can provide a good emergency food source but some are poisonous. Some loose toxic qualities when cooked, but do not eat wolf Moss letharia volpina, also called wolf lichen (check it out in this book Poisonous plants and mushrooms of North America scroll down for picture this is usually found in the red woods east of the cascades. Usnea is a common northwest herbal remedy, it has a characteristic white band in the middle when pulled apart. 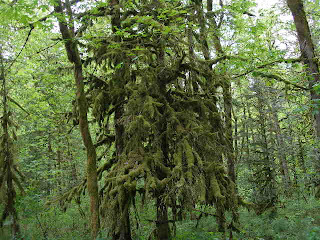 Usnea is pictured above with Ella inspecting it. Usnea can be applied directly to an open wound in emergency situations, it will serve as an antimicrobial compress to stop bleeding and prevent infection. Put this knowledge in your memory bank when you are in the woods, you never know when it may come in handy! Usnea extract has been shown to be effective against a wide spectrum of bacterial and fungal infections. Many lichens are edible. A classic case where lichen was used as a survival food was the story of Martin Hartwell, a Canadian pilot, & his Eskimo companion, they crashed in the Arctic and survived 23 days on a lichen diet supplemented with dextrose from an emergency kit. Rock tripe was eaten by trappers in Canada in times of scarcity, while in Japan this type of lichen was considered a gourmet food. Nutritive value of lichens varies from species to species according to the amount of starch present. Lichen is a good source of vitamin C & would prevent scurvy among Eskimos, who rarely ate plants. They would receive their vitamin C by eating the undigested stomach contents of caribou. Many people from the Ancient Egyptians to the Swedes would make flour for bread from Lichen. To make the flour, the lichen would first be boiled in a alkali solution to neutralize the bitter acids that can be irritating to the intestines. If you are in a survival situation you can put ashes from the camp fire in your water when boiling to get these results. Then the boiled lichen is washed, dried, and pounded into flour. People would mix the lichen flour with wheat flour so their biscuits would keep much longer. The mana of the Bible may have been lichen (lecanora esculenta) this is still eaten by some desert tribes. Locally here in the Pacific Northwest, Columbia River Native Americans ate the lichen which grows on fir and pine trees. Sometimes it was boiled. Another method was to wet it, allow it to ferment, and finally baking it. In India one of the lichens is made into curry powder. A process of making sugar from lichen was used in Russia in WW2 when beet sugar was scarce. Lung lichen was used to make beer as a substitute for hops in Siberian monasteries. In the 19th century in Sweden and Russia, there was a brandy making industry that went bankrupt when the lichen supply ran out. Since some Tribes of the new world & old world were dependent on Reindeer and caribou, and these animals survive the winters by eating lichen, I guess you could say human cultures themselves were dependent on lichen. I remember back 5 years ago when I was in massage school. Very intense study of anatomy, physiology, and pathology. Sometime toward the end a new class emerged, massage 4. This was a required class and we were the first to have to attend. It was prep for the National Certification Exam. As I sit down and TJ our instructor passed out the curriculum, we opened it up and several students raised their hands in outrage. What the hell is this! This doesn't make any sense at all. Meridians, Chakras, Ayurveda, what does that have to do with massage. Why in the hell are they requiring us to learn this stuff. You see everyone in the class was a Western medical major, not Eastern technique, so they did not understand the usefulness of the instruction. The hands on state exam was coming up and we were burdened with having to remember every action, orgin, insertion, pathology and contraindications, all with a proctor monitoring your every move. Nice time to through in this! This was not anything at all like our previous classes. The fear and outrage was understandable considering this is a whole new way of learning and moving from one mindset to another can be quite the shocker. You really have to think outside the box to wrap your mind around it. Class would go something like this. Every day we would start the class with Makko Ho stretches, special exercises for each meridian. We would all be on tables and TJ would have us find a Qi point " no that is not quite right, you have to feel the energy" Feel the energy? This was not like finding the tibial tuberosity, the bone is right there, how do you feel the energy? Blockage of Qi flow, elements, meridians, a new understanding of organs. I loved the class from the start. For me it was a welcome vacation from the memorizing and logical approach to the western style (although I loved that as well). You really had to forget everything you thought you knew. I see now where the National board was going with requiring this study. There are many pathways to healing. There are unseen forces, there are ways of listening, feeling, observing that differ from just regurgitating memorized information when you hear a symptom or problem of a client. We spent 4 months touching on Chinese, Ayurveda, and cranial sacral therapy. Not enough time I know to really master any of these techniques. It does however give the practitioner a few tools they can use, open the mind to new observations, feel and observe energy flow, think of healing in a new way. I do recognize energy, and amazingly have observed as a client released an emotional problem to have the physical one disappear at the same moment. Blockage of Qi flow does not seem so strange to me now. Learning all the points and meridians was useful, I use acupressure any where any time, unlike a full session where the client disrobes. I can also apply what I learned to herbal medicine, for example there are certain points that are particularly valuable in stimulating and strengthening the immune system, great to incorporate into a overall wellness routine. The 5 elements interact with each other the same way they do in nature, and the elements have associated organs, seasons, tastes, feeling, & body regions. A clients symptoms could show an imbalance in an element which governs other organ systems. In Ayurveda, people have unique constitutions that may assist in assessing a client, these constitutions are also associated with wind, fire, water, the 6 tastes. Of course this is just a brief description. With Western herbal medicine there is not an exact system, or perhaps there are many styles within the one Western style. I like this because I feel comfortable with incorporating other styles and using many tools. There is always more to learn. The more you know the more you realize you don't know. We can always explore and continue to learn. Opening up to the energy of plants and people is a start. Realizing that there is not always an easy answer. Really stopping to observe. Holding true to our intuition, imagination, and knowledge. Working with the plants to try to better understand their language as well as the language of our bodies, turning to our spirituality at times, and using our logical left brain when necessary. oh and one more lesson I learned from massage that I also apply to herbal medicine. We do not strive to be perfect, and we are not all flawed. When a massage client comes in you try to achieve the right balance for that individual, every body is different, we are not robots all with the same posture, metabolism, body type, what is normal for Dave may not be normal for Jane. This is also true of herbal medicine. This is why I detest the cleansing programs that are selling for 100's of dollars, oh but every one is dirty, everyone needs it, before they can continue with any other herbal therapy, this is the answer to all your health problems. BS Let's focus on nourishing our bodies, living passionately (which may mean sugar or a drink every once in a while God forbid), and taking care of ourselves emotionally & spiritually. First smell the test object. Place a small amount in your mouth. Really focus, allow the taste to penetrate you. Focus on this taste for at least 5 minutes. Sweet you may use sugar, very revealing! What kind of visions does the taste stimulate? What kind of sound do you associate with it? What feeling or body sensation does it evoke? How would you imagine it moving? How would it manifest in your personal relationships? What kind of work would fit this taste? How do you imagine this flavor in your community? How would this taste manifest in the spirit? Are you attracted or repulsed to the taste? Do you feel you need more or less of the taste? This got me to thinking back. 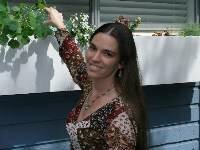 About my childhood, plants, nature, and it's role in my life. I often ran away to sit with plants. My childhood was very unstable and dysfunctional at times, with sprinkles of good times and memories. My parents divorced when I was only 2. My Mother and I were alone for about 3 more years until she met my Step Dad, I didn't have any brothers and sisters living with me until I was 15. I was not always the way I am now. I was very quiet & shy as a child. The reason I was quiet was I didn't want to say or do anything wrong. You see I thought if I was a good girl things may change for me, my Dad might come back, things would be better. I did not feel safe to talk with other adults. My Step Dad was a very odd type, I guess they have a name for it now, A personality with a side order of IED or intermittent explosive disorder I think is what it is called. He would be ecstatic and happy, people liked him, the kind of guy you like to have at parties one minute and the next he would be swinging and you had better get out of the way. OK maybe he was BI Polar as well. You just didn't feel safe. You walked on egg shells because you never knew what you were going to get. Is it the High funny guy or the Monster today. One day he would laugh at something you did wrong, and the next he was exploding over nothing. I was outside as much as possible. I would go to my Dad's every other weekend. He had an abusive girlfriend (basically the girl version of my step dad) who couldn't stand me. Well Pineapple weed seemed to show up when I need her. Always making me forget anything that was going on with her euphoric smell and bright yellow cylindrical shape flowers catching my eye. 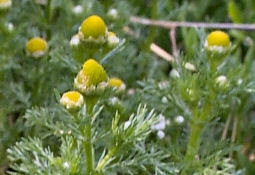 It seemed whenever we got in the car with my mom and step dad there was a fight, getting out during one of these episodes I just started walking, what do you know there is my old friend pineapple weed. Tuning out the commotion I just sat with her for a while, everything was going to be OK.
Later as an herbalist I found that you could make a calming tea from pineapple weed and it's action was similar to chamomile, I already knew this of course because I spend days sitting with her. Well when I hit adolescence the fear turned to rage. No one was holding me down. I was like a wild stallion that could not be broken. I spoke my mind, perhaps making up for all the time I kept my mouth shut. I rebelled. I drank and was gone with friends. There were little lapses in there where I would leave the camp site where the party was and go sit with the plants, yah everyone thought I was weird. After I got that out of my system, I returned to my calling and here I am the herbalist. I still sometimes want to run away, travel, take in all the learning and sites I can, I guess this is the girl in me craving the unstable but hopefully in a healthy way. I would not take back any of my experiences, if it were not for them I would not be the person I am today. OK that sounds cliche but it's true. Yummy lunch! Perfect for the overcast and kinda cool day. I started out by roasting some garlic in the oven. Roast until brown w/ a little olive oil and sea salt and pepper, just cut the hard end off and roast it in it's skin, when done squeeze the soft roasted garlic yum! Then I made the salad. Fresh tomatoes sliced & roasted in some olive oil sea salt and pepper in a stainless pan on stove. Assemble the salad with the greens, When tomatoes are done add them with the cheese and olives. The warm contrast with the cool greens is delish! Oh and the roasted garlic? Add that to some great bread, I like Dave's Killer multi grain. Ok I have been away from the writing for a while. Yesterday I went to the store alone and had the radio on full blast, singing at the top of my lungs at the Hy way 26 intersection (my voice carries), 92.3 had 80's rock on. Thoughts flash back to cruising seaside loop with my boyfriend who's long hair took longer to feather than mine did LOL. I made sure I purposely went to the store that was 20 minutes away so I could sing all the way. I have to say I feel much better. Or could it be the milky oats that Jim Mcdonald sent for our trade? This along with some relaxation (much needed) has really helped my post baby craziness. I noticed a difference immediately. Ella is going on 9 months old now. Since her birth I have been having some postpartum symptoms. Problems with thinking clearly (Ok a least I have something to blame that on). Moodiness (where in the hell did I put that other shoe!) tiredness (what a surprise the last time I slept in was sometime in 2006) lack of libido (what the?). Milky oats tincture aventa sativa fresh unripe seed extract, have proved to be an excellent nervine for me. I have also experienced a new type of energy, I have been having some *exceptional* dreams, how can I put this without sounding unprofessional, Oh wait too late for that refer to first paragraph-, anyway lets just say my libido has also improved dramatically as well. Heartsong farm has a good explantion of milky oats. They also have some available for purchase. If you would like to make the tincture, jim mcdonald informed me that this is one of the few herbs he does use a blender for.